Originally from Newton, I entered the world of stage and film a short ten years ago. 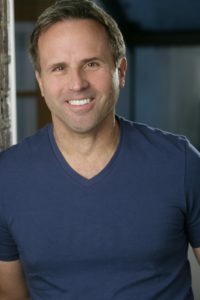 In addition to my stage experience, I have appeared in featured films, commercial and broadcast TV as well as print ads. Some of my stage appearances include: The Witches of Macbeth and Streetcar Named Desire – The Psych Drama Company, Broken-Legs – Dave Flanagan Producer, as an understudy in St. John the Devine in Iowa – Another Country Productions, and There is No Good News – Boston SLAM. My formal training includes the studying the Meisner Technique I & II taught by Lyralen Kaye of Boston, Scene study with Peter Kelly and other workshops including Caroline Pickman and Bates Wilder. I am a regular reader at the monthly meetings of Write-On. To me, acting and being surrounded by creative people is the spice of life.